Abby Sterensis was born and raised in the Tampa Bay Area, one of the few real Florida natives! She attended the University of Florida where she received a Bachelor of Science in Business Administration with a major in finance and a minor in entrepreneurship. After college she moved to Sydney, Australia and received her MBA from the University of Technology, Sydney. While Australia was an amazing country, she always loved and missed home, so after completing her degree she moved back to the US and headed north to Philadelphia. In Philadelphia she worked at a non-profit which furthered her passion for giving back to the community. However, winter in the Northeast is rough for someone with thin Florida blood, so Abby decided to return home to Florida and join the family business! Her life experiences and business background were a great combination for a successful transition into the role of Director of Community Outreach. In her free time Abby loves spending time with her family and friends, playing and watching sports, traveling whenever possible, cooking, and soaking up the Florida sunshine! She is so happy to be back in sunny, warm Florida and thrilled to be part of the ALC family! Joe Sterensis was born and raised in Brooklyn, N.Y. A child of immigrant parents, displaced survivors in post war Europe, Joe grew up with a deep appreciation for the value of education as a way out of the cycle of poverty. Joe graduated from Long Island University with a Bachelor's Degree and became a Physician Assistant. A true entrepreneur, Joe had a successful 20 year career in the medical field, first in a private Neurology practice in St. Petersburg and later as the co-founder and Director of Preferred Diagnostic Services a medical diagnostic and oxygen company. In 1995 Joe sold this company, retired from the field of medicine, and turned his lifelong passion for learning into the creation of ALC - Advanced Learning Centers. Joe has overseen ALC's growth from it's humble beginnings in St. Petersburg as a private tutoring company, to State-Approved-Provider of Supplemental Education Services throughout much of the State of Florida, all while maintaining the superior levels of service excellence that all of our clients have come to expect. Our tutors promote the importance of both conceptual understanding and practical application in developing a student's skills for success. 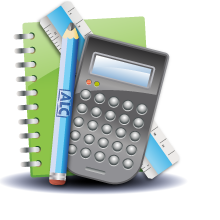 ALC tutors are trained to recognize and respond to each student's individual strengths and weaknesses, maximizing their potential. Tutors provide challenging, fun, and active sessions to keep students engaged and excited about learning. With their tutors, ALC students develop the skills and confidence they need to succeed both inside and outside of the classroom.